Math eBooks for children, Free downloads in PDF format, print out and use in school or at home. 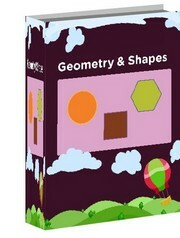 Free math eBooks for children available for instant download. Each eBook contains about 10 pages each containing exercises under different math topics. If you are a teacher or parent looking for extra teaching resources to supplement your course, this is the right hub for you. Please help us share this resources with your friends and students. This page will constantly be updated with new math ebooks, but for now topics covered include: Addition, subtraction, numbers, telling time, shapes and geometry. 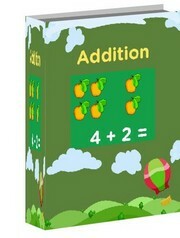 This addition workbook contains basic addition problems for kids in kindergarten and first grade. Kids are introduced to the concept with the aid of pictures that illustrate what it means to add. After working on such exercises, kids can start solving problems that do not contain pictures. Click to find out more. 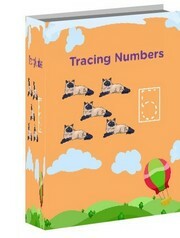 Learn to count and trace numbers up to ten, count apples, cats, horses and other items. Each page also contains numbers to trace following the order of the strokes. After that kids can independently start writing numbers. This is a great way to start off children with number concepts. Click to find out more. 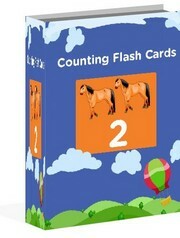 Teach kids how to count by using flash cards. Each card contains pictures of objects and fruits which visually appeal to young learners. These cards can also be used for playing classroom games by groups of kids or by parents who need to give their kids extra practice at home. Click to find out more. 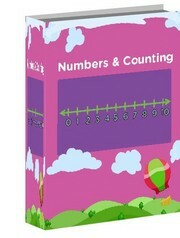 Learn numbers with worksheets in this workbook. Featuring are activities on number lines, comparison of numbers, counting with the aid of tally marks, representing with tallies, finding number positions in a sequence and more. Print out these sheets for extra practice at home or in school. Click to find out more. 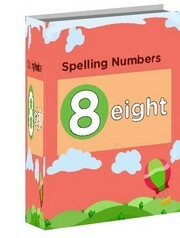 Practice spelling numbers from one to ten. By using these worksheets, kids can learn to recognize numbers by first coloring, tracing and counting the number of objects. These worksheets can start off kids on number words spellings from 1 to 10. From here they can build on other number vocabulary. Practice subtraction with the aid of objects on pictures. 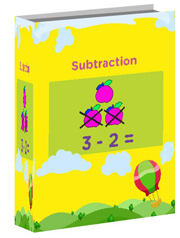 At the start kids will be introduced to the concept of subtraction visually. After crossing this initial phase children can print and start practicing on worksheets that contain no visual aids. 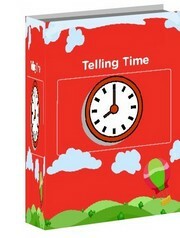 This workbook will also be helpful for teachers in school and for parents at home. Learn time with the aid of flash cards. 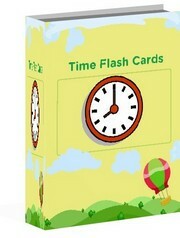 Teach kids the notion of time in class through games using these flash cards in different ways you choose to. Some teachers use flash cards as a game tool while others use it to complement activities on worksheets. After practicing with these, start applying it to daily life situations.